In a collaboration between Effektor and Lewis Leathrs, the ‘Aviakit’ frame combines classic geek style with a subtle, dark twist. 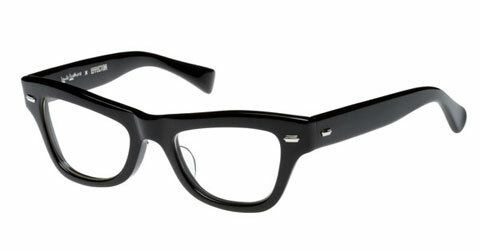 Made out of thick, substantial black acetate, and featuring silver dot details on the sides, these frames won’t suit everybody, but are sure to get the attention of everyone. Available for purchase at Cradle.